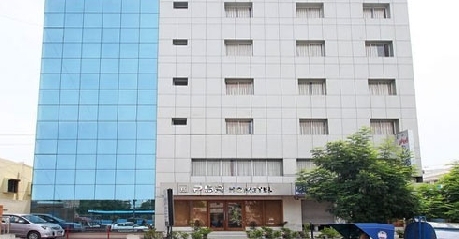 PSR Hotel Tirupati is renowned for heartwarming hospitality and excellent services. 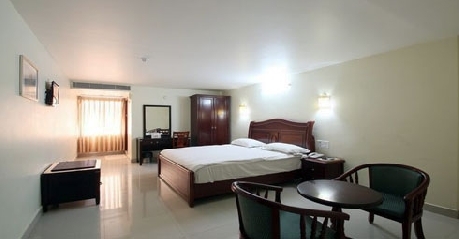 The hotel is known for offering services that make for a comfortable stay. Staying here lets travelers enjoy India’s tradition in the contemporary way. The warm and amicable staff greets guests ensuring they have great time when staying here. 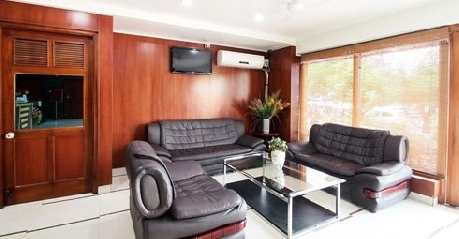 There are sufficient number of rooms from which you can choose the one as per your ease and convenience. 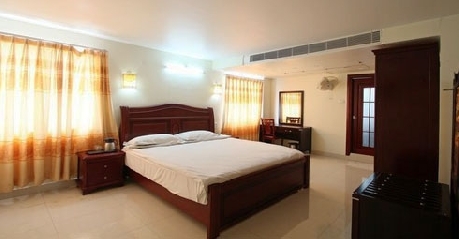 It is one of the most popular three star hotels offering finest of the accommodation in the city. It is the strategic location of the hotel that makes it a hit amongst travelers as well as pilgrims. Railways station and airport are located in close proximity. 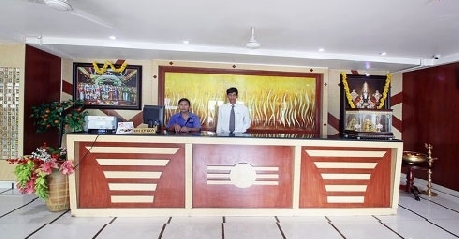 The goal at PSR Hotel, Tirupati is to enhance the stay of pilgrims by treating them with world class services. Those of the travelers who stay here can get an experience that is beyond extraordinary. There are 32 standard rooms that the hotel offers to all its guests. Contemporary amenities, stylish furnishings and elegant décor spell the magic of comfort and luxury that add an all new meaning to the stay of travelers. Each room under this category is spread over the area of 300 sq ft offering great ambiance and view from the room. Those of the pilgrims who choose to stay here can experience warmth and comfort like never before. There are many facilities that guests will get o enjoy some of which are access to high speed internet, television with cable channels, running hot and cold water supply, tea or coffee maker, in room safe, direct dial facility and room service. There are sixteen executive rooms that the hotel offers to its discerning guests. Each room under this category is spread over the area of 358 sq ft and is well-decorated so that guests can make the most of their stay here. Classy, decorated with modern pieces of art and highly spacious, PSR executive is well-equipped with a complete range of amenities that can make your stay an unforgettable experience. The living area of executive rooms is well furnished with a plasma TV and plush couches so that guests can unwind themselves while watching television. A private balcony along with a plush dining area lets you have great time. Some of the most common facilities that the hotel offers are access to high speed internet, round the clock room service, tea or coffee maker, television with satellite channels and coffee or tea maker. 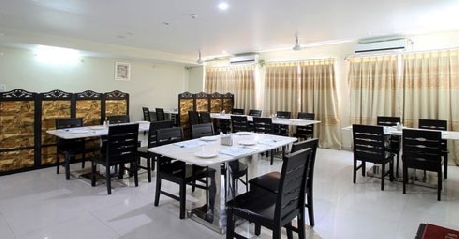 The hotel offers authentic and contemporary Indian vegetarian restaurant where food connoisseurs can dig into some of the most excellently prepared vegetarian dishes. It is the experience and expertise of chefs that enables them to offer delicacies that are prepared with great care and according to the international standards of hygiene in mind. Here travelers can get to taste the rich curries of North India, scrumptious dosas of South India, thalis of North and South India and delicious Rajasthani as well as Gujarathi cuisine. All dishes are prepared using finest combination of spices and fresh ingredients so that vegetarian food buffs can have great dining experience. The multi cuisine restaurant at the hotel serves to guests an exclusive range of dishes that are cooked for those food buffs who are seeking culinary experience like never before. No matter whether travelers are having craving for Continental, Chinese, Oriental or Indian food, they can get it all served here under one roof. What makes the dining experience is the warm ambiance and food served by friendly staff.